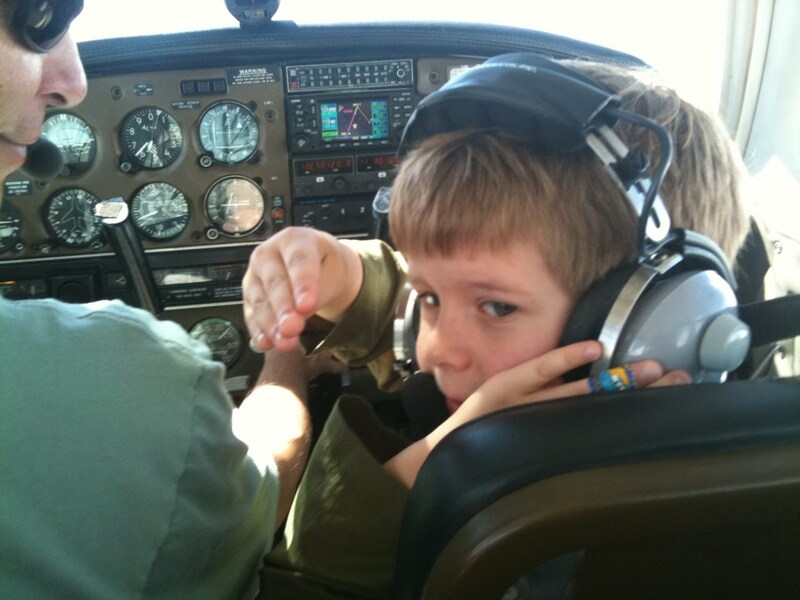 Since the time he could point, Jude has wanted to be a pilot. We would sit outside of our house and he would look for aircraft as they started their approach to the San Antonio airport and point toward the sky every time he spotted one. 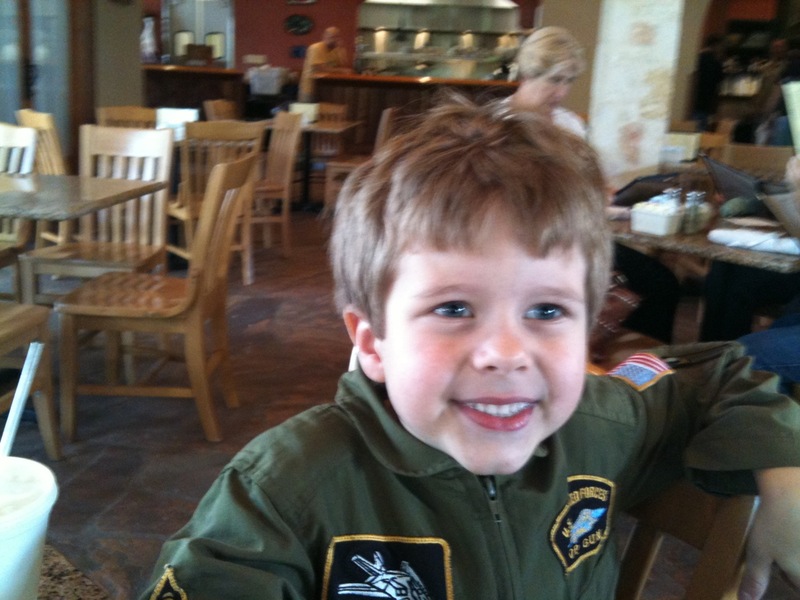 He had his first flight suit at 2, which he quickly grew out of, and his second at 5 which he wore today on his first private airplane ride. A guy I work with is a former Marine Corps Harrier pilot and he offered to take Jude up for a ride. 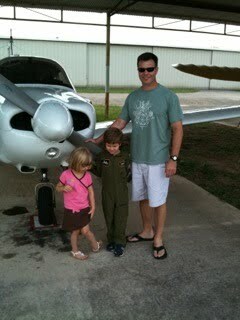 Can you really have your kids in better hands than with a Marine Aviator? Mike showed Jude how to do the entire preflight inspection, including the fuel check. He took his job quite seriously. This was at the Fredericksburg airport where we landed after our first leg. Here is how the rest of the morning went. 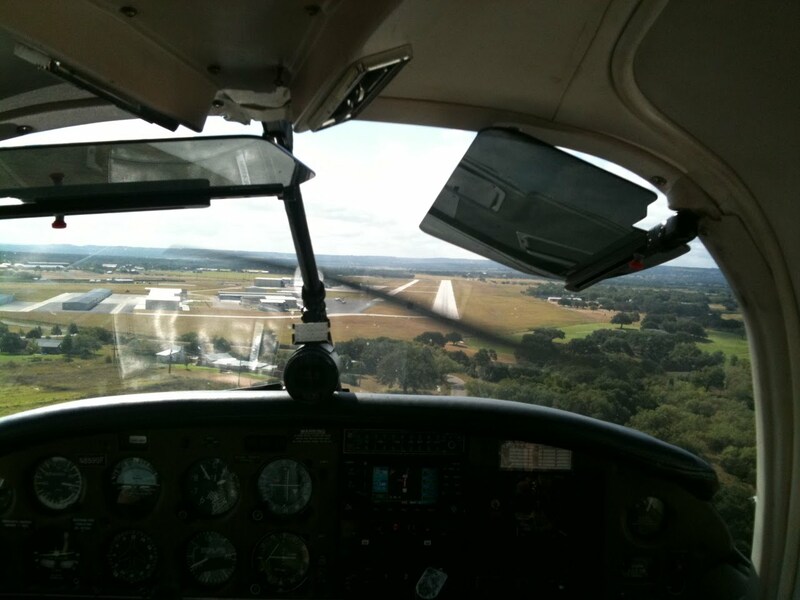 3500 feet AGL (above ground level... have to get the lingo right if you're going to be a pilot). 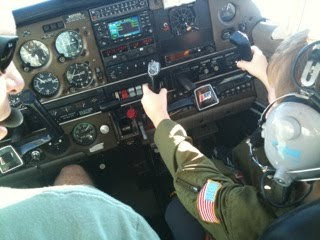 The crew chief (Indigo) and I sat in the back. 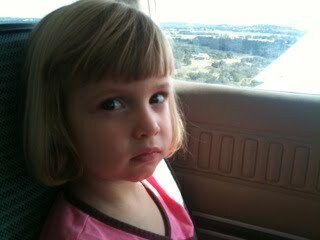 Based on her expression, flight school is not in her future. I have never seen Jude so excited to do anything in his life. He popped out of bed this morning at zero-dark-thirty and said, "Dad, I'm just so excited to fly today I wanted to get up early. I had a dream that my flight suit was too big!" 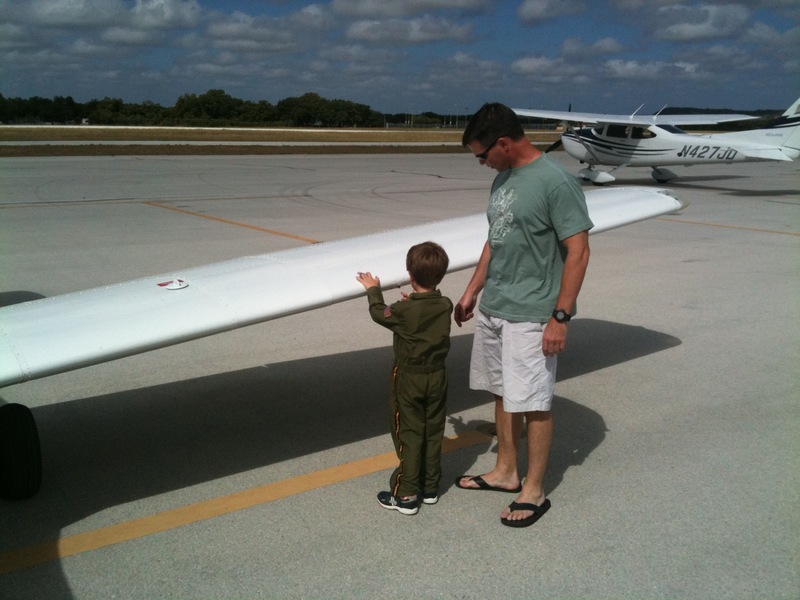 He was confident, listened to Mike's instructions to the letter and finally got to realize his dream. I'm proud to be his dad. I love you buddy! Mike, thanks a million. You really can't imagine how special this was for him. 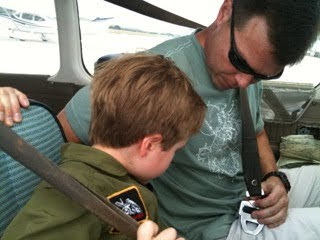 Indi's expression on board was priceless!! I'm sure this is something he will NEVER forget!! OH, that's AWESOME!!!!! WOw, Jude- so cool that you got to do that. What cool parents you have!!! 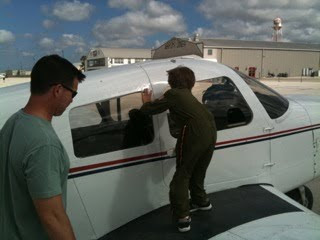 You look pretty darn adorable in the flight suit too- I see the future!!! Fantastic! So great that y'all are encouraging his dreams like that! Now, how special is that!!!!!??? What an experience.